Why go to Iceland when you can stay in Boston? 10 hours into our Iceland trip, we’ve made it all the way to…Boston! 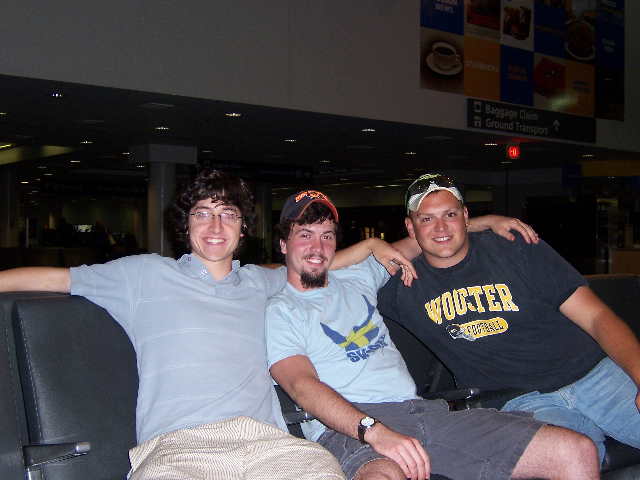 We know it’s hard to believe, but the weather wasn’t on our side and we had “airport trouble.” So, we’re spending the night at an awesome Holiday Inn Express and we’ll try the same flight again tomorrow. Wish us luck! OSLO, NORWAY–This Wooster geologist had an excellent time here in the capital city of Norway today. I met up with Hans Arne Nakrem, a Norwegian paleontologist with the Natural History Museum, University of Oslo, and we looked at specimens he had collected from Jurassic strata on Spitsbergen, the Arctic island I am visiting tomorrow. He and his colleagues have some fascinating geological and paleontological hypotheses about some of the carbonate units and structures preserved with large marine reptile bones. There are opportunities here to help sort out the scenarios, especially with trace fossils. Hans Arne also showed me one of the most famous fossils found in modern times: Darwinius masillae, an Eocene (Lutetian) stem group primate also known as “Ida” (pronounced “ee-dah”). It may be a transitional form between the prosimian and simians. 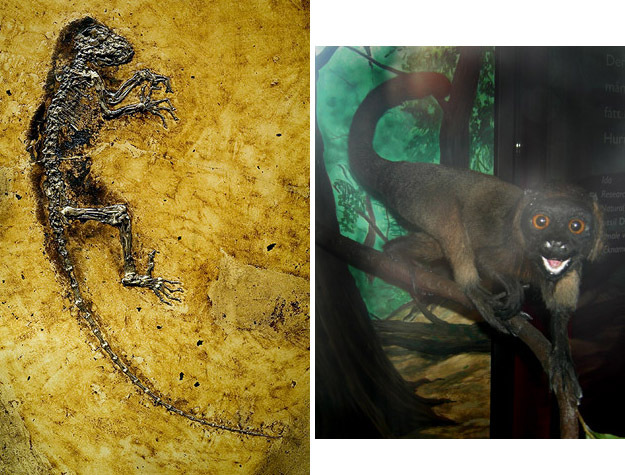 The fossil on the left (it is about 58 cm long) and a reconstruction on the right. This fossil, which was found in 1983 in Germany, was only recently acquired by the Natural History Museum and formally described. In fact, we had lunch today in a sunny courtyard in the Botanical Gardens with Jørn Hurum, the paleontologist who led the research team studying D. masillae (and who is also famous for finding “Predator X“, an enormous pliosaur from the Jurassic of Svalbard). Inspiring. Later Hans Arne gave me a tour of Oslo on what must have been one of the most beautiful days of the year. 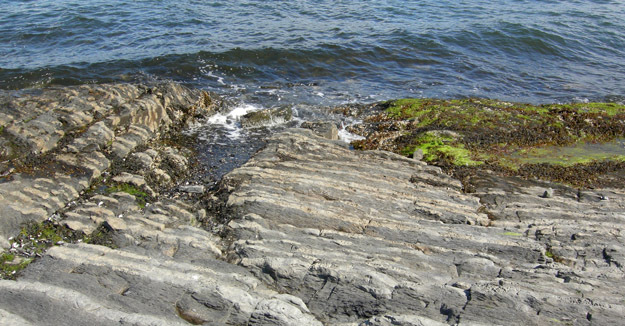 Among the many sights were some outcrops, including the Middle Ordovician interbedded shales and limestones shown below at the shoreline of the Oslo Fjord. Middle Ordovician shales and limestones on the western shoreline of the Oslo Fjord.